Today was a time of sun and fog and sun and fog and sun again. 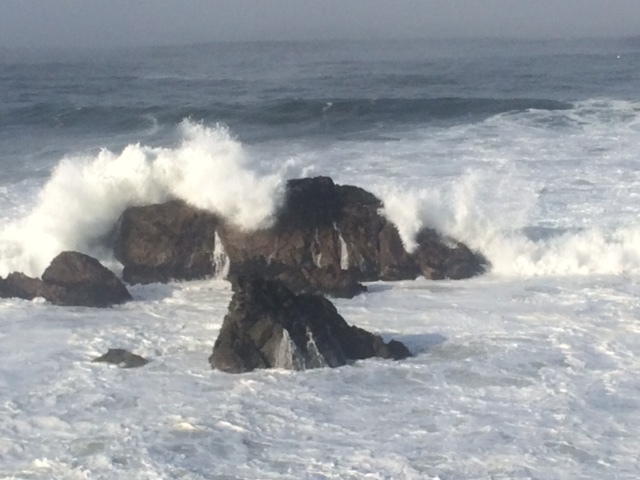 When I left Bodega Bay the indications for sun were high, as was the surf. 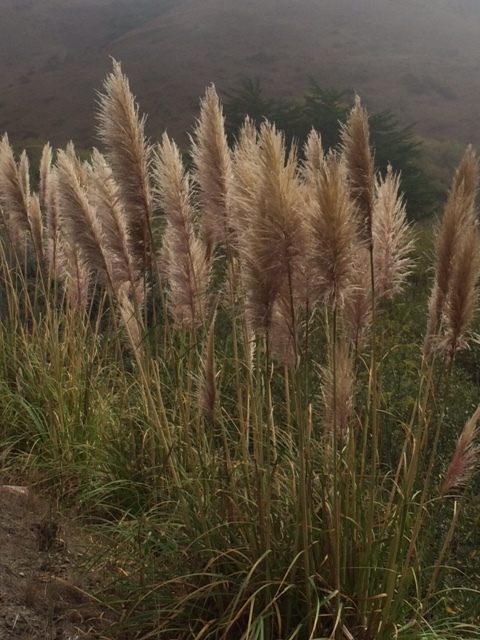 But within a few minutes I was enveloped in fog along California Highway 1 for ten miles. Visibility was adequate, and the cool sea breeze wonderful for cycling. 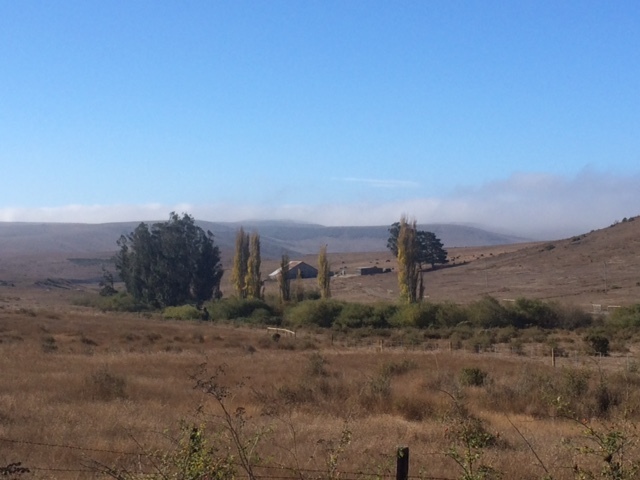 By the time I got to Tomales the sky cleared, the sun was bright, and the town was hopping with weekend tourists. I took several hours break and had a great visit with Abby, aka TrekkinLady, a young woman who has hiked the Pacific Coast Trail and Baja and is wrapping up a hike across Montana to Seattle followed by a cycling down the coast to San Diego. 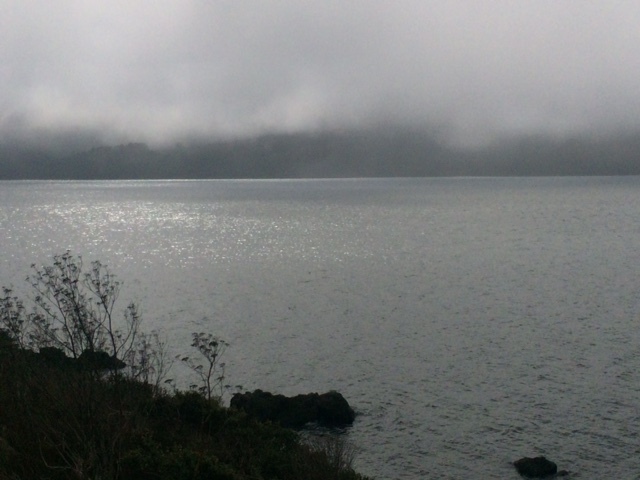 Fog set back in once I was on the bike, and stayed with me to Marshall, where I turned inland. 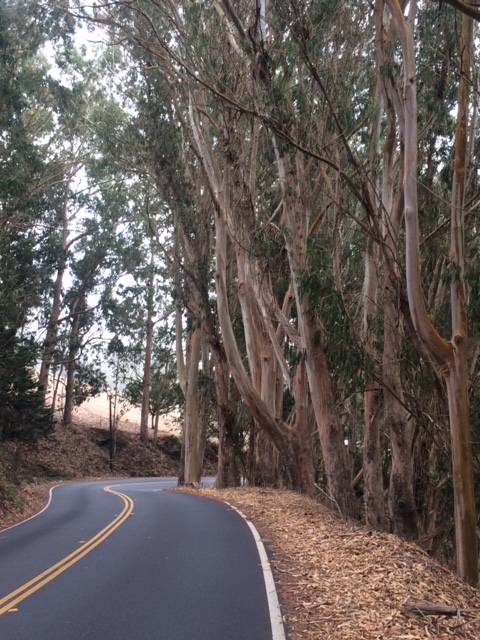 The road away from the coast was steep, but the wind was at my back and the fog dissipated as I climbed. 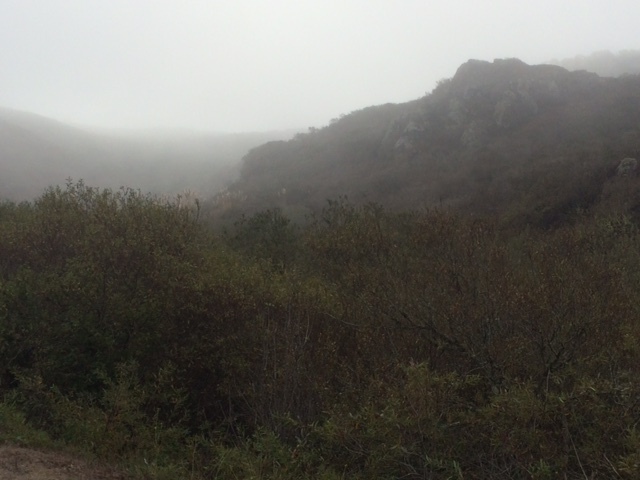 This was my third day of traversing coastal mountains, and the most beautiful by far. 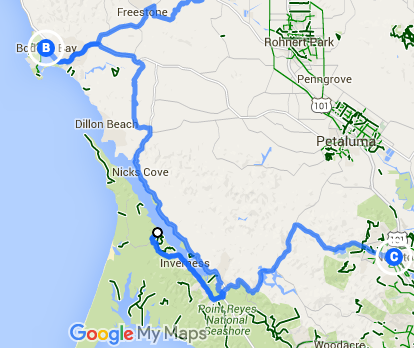 I especially liked the long, slow descent into Novato. 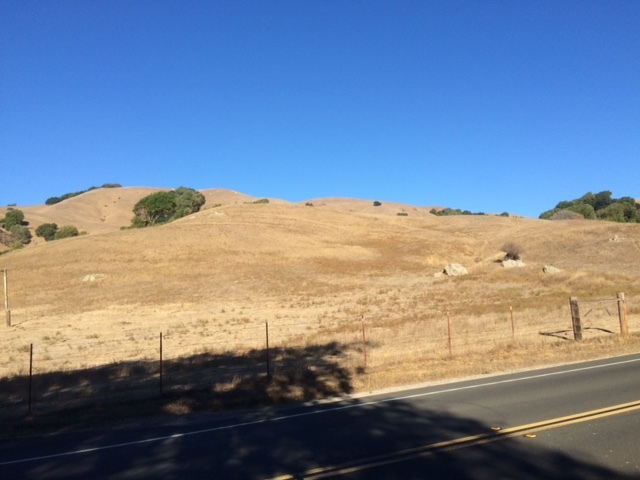 I find the bald brown hills with clumps of green against a crisp blue sky very satisfying. I actually feel nourished and full as I pass them rising around me. A friend of a friend was a gracious host and had a completely unique response to my question. I still get new responses every day. They help keep me fresh.